B.C. government putting alternative energy sector on ice | Watts Up With That? ‘That will have to change if B.C. is to pursue its CleanBC plans,’ says head of Clean Energy B.C. Dozens of solar, wind and run-of-river power projects have been indefinitely suspended by the provincial government in an effort to manage the cost of electricity from independent power producers. “That will have to change if B.C. is to pursue its CleanBC plans,” said Jae Mather, executive director of Clean Energy B.C. By turning its back on alternative energy, B.C. is missing the opportunity to make electricity cheaper for consumers, he added. “The price of wind and solar is the lowest of any form of electricity generated on the planet right now,” he said in an interview. The provincial government’s CleanBC plan calls for a massive program of electrification of homes, industry and transportation with aggressive greenhouse-gas reduction targets set for 2030. By 2040, every car sold in B.C. is to be zero emission, while every home is to be net-zero energy ready by 2032. A second phase of CleanBC with even deeper reduction targets is expected to roll out this year and next. Also, or probably due to. Adding to the gloom, a report released Wednesday found that B.C. Hydro is overpaying for power in contracts it has already signed with independent power producers. As a result, customers are paying $200 a year more than they should be, the report said. This cannot be true since there are still massive subsidies for solar and wind, extra regulations forcing priority use of solar and wind, and extra costs of backup for solar and wind. The greens aren’t widely known for sticking to the facts. The Greens have a reality problem – they are delusional. They are incapable of understanding what it takes to have a strong, dynamic, modern economy. It requires cheap, reliable, power on demand, 24-7. This will never be possible with solar and wind. The Greens should retire back to their opium dens and quietly go to sleep. No, Sam, they are not delusional, they are doing what other propagandists have always done, tell a huge lie over and over again with a straight face until people believe it, and then tell more lies creating a parallel fake universe. When people wake up to the lies it is too late, the propagandists have won. Or so they think, because propaganda and lies cannot change the laws of physics and the reality of economics. This is what is happening in Germany, and the yellow vests in France have figured it out too in a way. I hope it’s not too late to stop this madness. Who needs facts when you have base emotions? Seriously, as the saying goes, what can’t go on, won’t. People have caught on, or at least they are starting to. The BC government is a minority NDP, propped up by the Green Party. Translation for non-Canadians: that’s like Bernie Sanders running things, with AOC’s support. Not only that, but a recent study of windfarms revealed that wind turbines, especially the newest, largest turbines, are failing more often than expected, with lifespans roughly half of what was promised. “Price” is not he same as cost – for windmills, the cost cannot be known until the costs of the unit and the cost of installation are known. The cost of installation is known, but not the cost of the wind turbine’s power – that requires knowledge of average capacity over life and length of lifespan. The study indicated that wind turbine generated power was costing twice that predicted, due to lowered capacity with age and abbreviated lifespans. There is also the matter of percentage of solar/wind on the grid. The greater the percentage the greater the need for back up, which means duplicative power generation capacity is required – almost amounting to a doubling of expense, less any fuel saved. Actually, capacity has nothing to do with cost! The cost is determined by the capital expense of building, installing and maintaining the blamed thing which MUST be offset by the revenues gained by the actual electricity SOLD on the open market. If the electricity is produced at the wrong time, it can not be sold. The network can not afford the unreliability of the wind production at any price and is only taking it because they are getting a government subsidy to pay off back-up generators to be ready to take up the load when wind is dead. Without subsidy, wind can not provide electricity to the grid and would not be allowed. So what is the cost a canceled nuclear plant in GA anyway? Yes, the same nuclear plant that was supposed to be part of the new era of cost controlled plant construction projects along with SC. Unless you have heard something I haven’t, Plant Vogtle is still building units 3 and 4. It has gone way over cost and time thanks to a great deal of lawfair and the fact that so many construction workers can’t pass a drug test, but is still going on. The reactors in South Carolina were cancelled due to a combination of the gas glut making it too expensive and the same lawfair and qualified construction worker problems Vogtle was having. The calculations on continuing Vogtle were basically we were much farther along in the construction and needed almost as much money to mothball it as to finish it. Here is one version of update on Vogtle, i.e. get around legislative session. That was a propaganda hit piece by an advocate for wind and solar. They have problems, but there comes a point when the sierra club needs to stop peddling their bravo sierra, especially considering they and the group the guy quoted were the main litigants in the banana lawsuits on it. The point is you don’t know the final cost number. And the rate of increase in the estimate is nuts on the order of the Kemper gas plant in MS. I suggest you look at the El Hierro web site for info on a renewable power system. https://demanda.ree.es/movil/canarias/el_hierro/total It has diesel backup and at times, diesel provides 100% of the Islands power. As I am writing this, wind is providing about 2/3 of the islands power but 5 hours ago, it was almost entirely diesel. The cost of power from this system runs from $US0.80 to $US1.23 per kilowatt hour depending on what source you stumble on. I don’t know about you, but I pay about $0.075 per kilowatt hour. And maintenance on the diesels has increased manyfold from days before the renewable system was built because of the highly variable load. If you think El Hierro is a bad example, check out Kings Island, Tasmania at http://www.kingislandrenewableenergy.com.au It has a more complex wind and solar system with diesel backup but the results are roughly the same as El Hierro. Note also the frequency and load variations on the Kings Island equipment. Not good – high maintenance all through the system. They “attempted to implement an untested new gasification technology at a power plant”…it failed. So it will be a plain-old natural gas plant instead now instead of the “rate of increase in the estimate” to keep going the route of the new technology. Add on cost of back-up fossil fuel power. Price is about supply and demand in a moment at a place. Cost totals up all of the resources and assets involved, including the capital cost of the assets and the opportunity cost of investing in those assets as opposed to other assets. The price of renewable energy maybe very cheap. It may go below zero when supply is very high and demand is very low. The cost can be astronomical because at the same time enormous assets need to be devoted to backup and transmission, which do not produce any revenue. At the same time, if that capital had been invested in Treasury bonds, you would be collecting 3% with no risk. The tactic of a lot of utilities dealing with nuclear cost overruns has been to offload the fixed costs onto ratepayers and then toute the low costs based on variable costs alone. Nice trick but it won’t fly. Not when gov”t is involved they force utilities to by renewable at a fixed price whether needed or not. Correct. And often are shoddy goods from China. Further it gets cold in BC, and not only do wind turbines have to face windless snow days, but solar and batteries are likewise crippled. I suggest BC look for alternatives. Obviously hydro , likely biomass, and nuclear for Vancouver. They did. Reading the linked article shows in a roundabout way that site C is hydro and it produces so much they have a surplus for 15yrs. What native Americans have to do with energy production is beyond me apparently lots of experts in power generation. “Clean Energy B.C. has about $10 billion worth of clean energy projects ready to go with another 27 First Nations, said Mather.” Almost all current are partners with them. Kent, the life span of wind turbines is unknown as of today. We don’t have enough operating experience with them to know with any certainty what their “average” lifespan is. Wrong again. They have been around long enough to study. Supporters claim 30 years. Governments estimate twenty to twenty-five. Reality is twelve to fifteen. So Kent is quite correct. Ken, sort of, but not quite true. So long as electricity is required 24/7/365, each and every windmill and solar panel requires backup. For a large grid with lots of conventional gas, coal, hydro and/or nuclear, the backup for small wind and solar penetration is already in place since these sources have capacity margin. But as the margin is consumed as wind and solar grow, particularly in States or Provinces where wind&solar-first rules are in place, the conventionals become progressively more expensive to operate since they cannot sell what they were designed to produce and because the variations on their output imposed by the vagaries of wind and solar increase their maintenance costs. It’s a slippery slope, becoming more and more slippery with each added windmill or solar panel. Only when the full system cost of wind and solar become a required part of due diligence when evaluating such projects, will the real cost of wind and solar be revealed. Then perhaps some sense will get injected into this nonsense. Windmill farm cost must in include site acquisition, plans, specification, permitting, materials, installation labor, testing, spare parts, maintenance, liability insurance, operating, decommissioning costs…. and management. I probably missed something. We are starting to see this ridiculous claim more and more. The evidence says just the opposite: wind and solar make electricity more expensive. You can’t use wind and solar exclusively for power production. You also have to have fossil fuel/nuclear backup power when the sun doesn’t shine and the wind doesn’t blow, so in effect, your infrastructure is double what you would need if you just used fossil fuel/nuclear power generation alone. Solar and wind cannot be cheaper because they just add costs to the electrical distribution network that is already in place. They do not reduce costs. People who claim wind and solar are cheaper than the alternatives should be required to provide some proof of these claims. So the question is, a) do they really believe this, or b) are they repeating the lie as often as possible to get people to believe it? b) marks them as evil propagandists. and of course happily ignoring the massive subsidies and guarantees. Then come the ad hominem attacks like “black lung lover”, because if you don’t believe in green unicorn magic, you must be a fossil fuel lobbyist. We really need to ask Griff about this. He’s the expert. The wind is free so the electricity generated by wind must be nearly free as well. Yes, another lecture on the difference between “net” and “gross” might be in order…many people have many much money off other people who don’t know the difference. Ken B’s comment above is most relevant: cost is not the same as price. Losing your right to think and speak, to independently investigation the truth for yourself, is a huge an intolerable cost just to get something at a “low price”. In Germany, the production of wind energy sometimes exceeds the load and the excess has to be exported to adjoining countries that don’t actually need it (see the 9th and 10th of this month). The ‘price’ drops to less than zero per MWh as Germany actually has to pay its neighbours to take it. If you are quoting ‘price’ a prevaricator can make the case that the ‘price’ (better than free) is far lower than other forms of energy. However, the ‘cost’ to the German public with all of that spinning machinery not paying off the invested capital is large. There is a common delusion among leftists that their chosen politicians are honest and decent. My experience on six continents is that leftist politicians are deeply corrupt and favour the BIG scam, because that is where they can skim the most money. Green energy and global warming (aka “climate change”) alarmism and green energy schemes are the perfect such scam, with trillions of dollars already plundered from a gullible public, and more trillions of plunder in the pipeline. The simple truth is that grid-connected green energy is not economic, because of the fatal flaw of intermittency – when the wind does not blow or the Sun does not shine. Shady accounting practices can make green energy look attractive, but the total costs of managing intermittency make these schemes prohibitively expensive. Told you so, 17 years ago. VICTORIA — B.C. Hydro is losing billions of dollars because it was forced by the provincial government to sign contracts with private power producers for the wrong type of power at exorbitant rates, according to a new report. Ratepayers stuck with the tab for all these politically driven shenanigans not just now but for decades into the future. Staggering losses for Hydro, staggering impacts for ratepayers. It’s all there in a report released Wednesday by the energy ministry. COMPREHENSIVE REVIEW OF BC HYDRO: PHASE 1 FINAL REPORT (PDF, 650KB). Since there isn’t a “Like” button that I can press (I have asked Anthony to consider putting one in), I will express my “Like” of your post, here, Allan. The lies of a guy like this GreenBC spokesman, along with their consequences, have already started to come home to roost. One only needs to look at Germany, and the price of electricity there compared to what I and others pay in the United States to see what is happening. The poor in Germany are the hardest hit by the miserable (and almost downright evil) energy policy of Merkel. We in the U.S. need to take careful note of what is happening in places like Germany and Canada right now before we go off on our own brand of fraud being pushed by the Democrats. I saw a link to this report, which is probably the same thing. – BC Hydro bought too much energy and the energy with the wrong profile. – BC Hydro paid too much for the energy it bought. – BC Hydro undertook these actions at the direction of Government. Another example of pressure = permission or something. How could BC Hydro be such boneheads unless the government forced them in to a deal they couldn’t resist? It all works out to ~$4000 over the next 20 years for me in BC unless MORE bonehead ideas happen within this time. Wind and Solar are always the WRONG “PROFILE”! Yeah, but they’re confusing price with cost. But that’s what socialists DO. More evidence of group think. And let’s not overlook the cost of at least doubling grid capacity to support all cars going electric. To first order, if one uses a home charger to fully recharge, say, a 70 kWh EV battery that’s at 50% depth-of-discharge, on a daily basis, that will be more than 35 kWh consumed per 24 hours—remember, inefficiencies matter—versus the typical home’s daily electric consumption for all other purposes (here in the US, the average single family detached house electrical consumption without EV charging is about 30 kWh per day when averaged over a full year across the nation . . . I can’t state what it is in B.C.). And guess when most of that EV charging will be occurring relative to solar energy input. Look, there really needs to be a ready and well supported rebuttal to the claim that “The price of wind and solar is the lowest of any form of electricity generated on the planet right now” . The warmists keep saying this, and if nobody refutes it, the general populace will come to accept it. Many worthless things tend to have a low price, wind and solar have low price because it’s electricity is more of problem than something needed. Wind and solar has high cost and typically sells at low price- it loses money, rather than makes money. They are consuming wealth and creating poverty [and the kill some birds]. That is know as BS and bafflegab. The price of wind and solar is always incremental to the cost of conventional sources of energy without which an electricity grid can’t operate. because “hold their feet to the wind turbine” just doesn’t have the same urgency to it. Great, then that mean we no longer need any subsidies or other tax incentives for wind and solar, right? Because if the price is the lowest of any form of electricity, than the customers will flock to it without any government incentive, after all what customer wants to pay more when paying less is available? Hey, I think we’ve discovered where Baghdad Bob is working today. Sure, power is cheap if you get the government to pay for it. If real economic forces were at work, wind and solar power would be by far the most expensive. If they ever got into the details they would see huge variance in the costs just within the solar sector from utility scale to community scale to rooftop commercial to rooftop residential. Ever hear of the term economies of scale? Generalizations can be dangerous. Politically the Green Mob gets politicians to set meaningless virtue signaling targets which they then use to justify their unnecessary impoverishing policies. So, using wind and solar to power a fossil fuel business. Interesting hypocrisy. Take one town in America, of, say, 50,000 people with a good mix of the activities we do as a people, education, commerce, industry, academia. Take it off the grid. Completely. Absolutely. Provide alternative energy, and the necessary changes to make alternative energy work. And keep careful track of the costs, and the changes required in people’s lives. You don’t send you very first rocket to the moon (to use a program often cited as a project of similar scope), you do a long a carefully managed series of tests to make sure you are on the right track. Go ahead and spend federal money. Proving we can do this at a reasonable price is important to all of us. I think it would be best to pick a town in the midwest, to show we can manage both cold winters and hot summers. If we can’t make a changover work in one town, well, it’s probably not a good idea to overturn all of society and industry just yet. Hasn’t South Australia already done this experiment? And there was a town in Texas I read about as well. SA even has Elon Musk batteries as a backup of some sort. Doesn’t seem to work well, if you’re looking to decrease costs and improve reliability. I think it was a big fail, but haven’t been there, and the news media lies, written by idiots, so who knows. Didn’t Germany attempt this this transition with their Energiewende program? A massive expenditure on wind and solar installations. Result… excessive energy costs to consumers and virtually no reduction in GHG. That roughly coincides with what I have said about my own comparison of what the average German pays for electricity to what I pay personally: costing about 3-4 times per kWh more for the poor German. And if Merkel goes forward with shuttering both coal and nuclear plants, the price will go even higher. Take one square mile. Cover one three quarters of the area with solar and wind generation. Devote the other quarter to a solar foundry, metal smelting, fabrication. See if this little affair, even with preexisting power generation apparatus, machine tools, high grade metal ore, etc, can be self sustaining. That is, can it even manufacture enough replacement cells and wind turbine components to replace aging components. I have not worked this out on paper but in my gut I know it can’t. It would be so overrun with Lefty politicians coming and going for photo ops that it would never even start up. Three quarters. I first put down one half acre but thought there is no way enough power would be generated to support a half square mile of industry. I think maybe only 20 acres might be appropriate. So, maybe a 30 to one ratio. A square mile is 27878400 sq feet. In square meters that 3/4 square mile is 1945004 square meters. TSI is about 1350 watts per sq meter. 1) That’s top of atmosphere. 2) That assumes the panels are completely perpendicular to the sun the whole time the sun is up. 3) That efficiency is too high, lab only, not real world. 4) The efficiency starts dropping the first day the cells are in the field. 5) Who the heck wants to own a factory that only works while the sun is up. 6) 52 MW is trivial compared to the needs of many factories. 7) Nothing left over for the homes of the workers. Keith, You totally failed to understand Marks’ Points. The cement plant in Sonadih, India is supported by the 86MW Arasmeta Cement Plant power station. Still laughing? Here are the top five best solar panel manufacturers …. Whoosh, that’s the sound of Mark’s point flying high over your head. The point Mark was making is that Solar panels degrade. The longer they are in use, the less efficient they become. As you say Reading is fundamental, so perhaps you should learn that fundamental ability. Further, Mark was also making the point that lab conditions (where those efficiency rankings come from) and real world environmental conditions are not the same thing. In the real world environment you get weather. Wind blowing dust onto the panel (degrading the efficiency), snow & leaves falling on and covering the panel (depending on location and time of year), Birds pooping on the panels (again degrading efficiency), objects (such as window blown debris) hitting the panels causing damage (and degrading efficiency), etc. The most efficient in the lab panels will not exhibit that level of efficiency when exposed to the real world elements. Yes they do, but if you take the top performer SunPower at 22.2% and it degrades at the industry standard 0.8-0.9% annually, it will take well over 10 years to drop below 20% efficiency. That 10% capacity factor includes all of your concerns regarding dust, snow, leaves, etc. Keith, you are calculating potential cumulative energy availability. I believe MarkW was addressing the issue of power only being available for part of the day. Can a smelter run with power only available for part of a day? How much time is needed to get up to operating temperature each day? What of metal fatigue from temperature cycling? Will fossil fuels will be needed to maintain smelter temps overnight? If capability for burning fossil fuel has to be installed anyway, would it be cheaper to build and run the plant on fossil fuels alone once reduced land costs are factored in? Assuming plant cannot use fossil fuels and intermittency (reduction) of production is unavoidable, how much production capacity would be consumed replacing aging PV panels? If plant is capable of replacing itself within useful lifespan of panels, how big would the facility need to be to have enough reserve capacity to produce enough panels for sale to turn a profit? Would break-even size even be attainable? That 10% capacity factor takes into account intermittency and 0 watts produced at midnight. Oh, and FYI bypassing PV, and going to CSP (as in Crescent Dunes) you can get baseload power from sunshine. The thing with clouds is they can happen at any time of day. Factories require consistent power, intermittent power plays havoc with the production process (and for some things, losing power in the middle means having to start over from the beginning, wasting all the effort and resources that was used before the power was lost – too many such power outages and the factory is unviable as a factory) all that supposed power is *NO GOOD* if it isn’t available when it’s needed for the full length of time that it’s needed. And CSP can only get you so far. You get a week of cloudy rainy weather and not even CSP will help you. Endicott, you need to understand how a grid works. To paraphrase you: And NUCLEAR can only get you so far. You need to refuel an you have weeks of downtime so not even NUCLEAR will help you. You need to learn how Nuclear plants work. They schedule the down time (which doesn’t happen on as frequent a basis as solar downtime) such that there are other reactors still on line (so no interruption of power). You can’t schedule when the sun is unavailable due to cloudy weather. When the sun isn’t available, it isn’t available for all solar collectors in the area at the same time. Intermittency remains a problem with Solar, despite your willful ignorance on the subject. The aforementioned grant was unanimously denied. Wow! Your comment is one of the reasons I love to read articles from this site. I learn so much. And thank you for being strict in your economic standards for making grants, instead of just making them on the basis of political correctness or convenience. An acre contains 43560 square feet. Thee quarters of that is 32670 square feet. Now at 20% conversion efficency for solar cells, you get 820 Kilowatts. 1/10th of that value is 82 Kilowatts…. To put 82 Kilowatts into perspective, the typical 100 amp service that most homes have is about 20 Kilowatts so 82 Kilowatts is about 400 amps. So imagine four of these connections running at full bore. 82 kilowatts? John Endicott was talking about a cement plant that requires 86 MEGAWATTS daily to run. I think your math is fuzzy, as is your thinking. Larry, cement plants don’t use electricity for heating the calcium carbonate. I believe you want to use the SURFACE value for TSI, not the TOA value. At surface you get 1050 watt/sqm direct, or 1120 indirect. Doesn’t matter all that much because I included a 1/10 capacity factor. If you locate the solar panels in a desert, that 1/10 goes up to 1/8th or better. TSI is nearly a sine function overlayed on your 1350 watts/m^2. It starts at 0 at dawn rises like the sine function to 1350 watts/m^2 at noon and drops back as the sine function to 0 at dusk. You only get 1350 at local solar noon. In addition, it is only 1350 at noon on the equator on the equinoxes. There is another penalty riding on top of that sunrise to sunset sine function that is to offset your latitude modified by the seasonal apparent altitude of the sun. What I am saying here is there are a large number of things that will lower your expectation of power. There are calculators to tell you for given locations. The data below is from http://solarelectricityhandbook.com/solar-irradiance.html with the paranthetical additions being the calculations of total power in a day using your square meter numbers and assuming an optimal elevation, fixed south facing panel. This is not the panel output – just the irradiance striking the surface multiply by .15 to .23 to get typical to extreme high efficiency numbers. On average, the panels receives 14,024 kWhr/day in 3/4 acre or 8,976,193 in 3/4 of a square mile. At 22 % efficiency that means an output of 3,085 kWhr for a 3/4 acre plot or 1,974,763 kWhr for 3/4 of a square mile. In a very high efficiency electric furnace it takes 778kWhr just to melt the materials to produce one ton of glass. It takes between 14,000- 15,000 kWhr/ton for aluminum production just to produce the raw ingots not formed product. If steel is required, they better hope they have a never ending stream of recycled steel because there is no way to get from ore to material capable of being formed with electricity alone. With recycled steel and pig iron inputs you can use an electric smelter at about 80% of the cost of aluminum. To start from ore you need either coal or nat gas, but if you could somehow construct an electric means of doing it you would need 7,500 kWhr/ton just to get to the steel stage, and probably a lot more since that is just converting the number of joules used in the coal and gas process to kWhr. I still haven’t tried forming any of this stuff yet and I haven’t accounted for line losses or conversion losses in any of this. I think if you just picked a few processes per day and used the energy to do those tasks between about 9:30 AM and 3:30 PM and spent the rest of the day on siesta, you might be able to use this hypothetical factory that takes up a square mile. Keith – As Mark (?) noted earlier, the 1350 W/m^2 TSI value is at TOA. With “nominal” bond albedo, about 1000 W/m^2 is available. About 750 W/m^2 gets to the surface. Assuming non-tracking panels, one gets approximately 350 W/m^2, average, so the 4.1 MW number becomes 1.1 MW, etc…. John from Oz, you are welcome to come and live in my world. I had 2 kilowatts worth of silicon panels installed on my roof 10 years ago. Over the course of the 10 years the average daily production was 5.2 kwh. 5200/24= 216. 10% of 2000 is 200. Oh, and the array is still producing at about 92% of rated output at noon, and the panels are mounted flat on the roof. I call these guys “50,000 feet people”. Kinda like my boss: she sits at 50,000 feet telling me that there should be no problem getting over the river because there is a bridge on the map she is using. When I tell her that the bridge is gone, she tells me to fix the bridge. I have had 5KW solar panels since 2010, 20.38KWh/day average = 17.5% efficiency. Perhaps, like me, you also have mains connected to cover the remaining 82.5% of the day and the days when there is little to no sunshine. If so, your hypocrisy is showing as I am sure this would include fossil-fuelled generation. My reason for having solar is that I live in South Australia, the state with one of the highest rates for power in the world. Coincidentally, we also have the most wind- and solar-generated power in the world. Do you see a correlation? Your use of averages is moot as nobody lives in your average world, otherwise I would have had 2.4 children, be 52% female and speak Vietnamese 1.1% of the time. OK, Mr John from Oz, using my 10% capacity factor….. So please, tell me where my math and/or argument falls short? I’m not disputing your 10%, just the effect of ONLY getting 10% production. 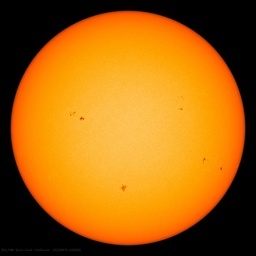 I note you do not give any answers to the downsides of solar, variously noted throughout this thread. There are enough engineers, rather than day-dreamers, who have explained the impossibility of renewables powering a modern economy. Let them go for it. Then Canada, Australia, etc. will put themselves in a highly non-competitive position compared to the US. Don Quixote and Sancho Panza, you go guys!. The USA in the meantime should cancel ALL energy subsidies, and let the best source win. Cheapest power–Warmers are caught somewhere between a crock and a hard place. For each unit of intermittent electrical power there must be a unit of dispatchable power. Or the equivalent in storage. As we visiting this site know. Either roughly doubles the capital costs and adds to operating costs. Have governments been stupid before? Yes, and there is a charming description. A long economic expansion reached an unsustainable boom and collapsed in the early 1600s. The usual hardship of high unemployment became a concern, so the British government came up with a make work scheme. At the time most of British wool production was finished in the commercial and financial center in the Netherlands. The Brit idea was to duplicate that capacity, making work at home and keeping the value-added obtained through finishing. Market forces rejected it and the scheme collapsed. Lot of that going around these days. For example, want to ban the private ownership of motorized transport , a ‘energy crises ‘ can give you that and who would argue that heating homes should come second to such ownership. They are after ‘saving the planet’ and what can be more important than that ! There are lies , damned lies, and Renewable Energy PR. When Mr. Mather says the price of wind and solar generated electricity is the lowest of any source on the planet right now, what I suspect he’s really saying is that the government is subsidizing the generation of wind and solar power to such an extent that it can build, build, build, and no matter how overbuilt they get, the subsidies under the present arrangement are so generous that they’ll always be able to offer electricity to the grid at a low enough price to justify his claim. After all, if the subsidies are sufficient, the operators of wind and solar could supply the grid at a price of zero. They could give it away. Free power! Who can be against that? It sounds like they’re not dropping the subsidies in this case; just saying they don’t want any more of that “almost-free” power right now. The pigs at the trough (and it sounds like there are a lot of them) are not amused, but the taxpayers and the consumers of that “almost-free” power should be relieved at the decision. It will save them a ton of money. Then let the billionaires (cough Steyer cough) who support the “renewables” scam pay for their stupid Hollywood props out of their pockets until they tire of wasting THEIR money. So B.C. wants to run on solar and wind, and maybe keep their valuable hydro but get rid of any fossil fuel contaminants in the green paradise. Having been born and lived a good part of my life there I feel the need to help them along. As an Alberta resident now I think the best way I can help is to lobby my government to stop sending any petroleum products that are useable in the B.C. market through the few pipelines that B.C. is generous to allow to keep operating. Just like a parent tossing their child into the deep end to teach them to swim this will be good for B.C. Or educational at least. I rather doubt B.C. will learn any lessons when their main economic engine is derived from Asian expats taking money out of harms way in not-free countries and storing the wealth in B.C. assets. Such rich banker mentality went on with Swiss banks in WWII with Jewish account holders that never returned to claim their accounts. Yes, those were the same banks that bankrolled the German regime. I have noticed how, in Vancouver, Asian economic power appears to dominate the Vancouver metro area, while Canadians seem to sit passively by and watch their money disappear abroad. I don’t know what will result, but if the Greens and the NDP keep insisting upon implementing the folly of 100% renewable energy in the long run, the consequences will hit the average Canadian hard. Through this cold snap of late, and in Alberta, their wind and solar have generated next to nothing. Zero for solar, and about 1/10 of one percent. Wind and solar are a complete failure. We all would have frozen to death if you had to rely on that. Yeah, what about that, windmill and solar promoters? How are you going to keep your customers from freezing to death? Answer: You won’t keep them from freezing to death if all they have to depend on is wind and solar. Another fatal flaw for wind and solar. How can you argue for it when it has this fatal flaw? It’s insanity. South Australia and Victoria states both have too much wind and solar in the grid and are suffering severe blackout problems. SA has the Elon Musk battery but it does not near big enough to take care of the lost load and all emergency and security services have to have their own local backup. The town in Texas is Georgetown just north of Austin. Where large hydroelectric is available, kwhr rates are low for Canadian provinces. The lowest electricity rates are in Quebec (95% large hydro), Manitoba (97% large hydro) and British Columbia. Most of the alternative energy that has been bleeding BC dry is run of the river- small scale hydro electric with minimal reservoir construction. These monstrocities are ugly and damaging to streams but more importantly, they generate most power in the freshet when BC with its massive hydroelctric doesn’t need it. The BC run of th river debacle is an interesting study in government incompetence, the art of the con and urban indifference to environmental degradation. Very much like the wind power scam. As far as B.C. goes, hydro is already 86% of their power grid capacity. They claim wind is another 6% but actual wind supply was about 1%. Bottom line is that BC, due to mountainous terrain and rivers is ‘naturally’ far ahead of the world as far as non-fossil fuel energy. Their government’s green virtue signaling to appeal to voters has recently cost ratepayers an 8% increase plus tax payers a $1.1 billion direct subsidy to prevent “electricity bill outrage”. Virtue signalling is very expensive. First of all, when referring to BC there is the southwest corner, Vancouver, Victoria and area, then the rest of BC where the sane live, well except for Kelowna. BC is already about 99% “renewable” with its extensive already in place hydroelectric. IPPs, run of the river, wind, tiny solar was only brought in to line the pockets of government connections, ex-government officials and ex Hydro managers. BC Hydro was blocked from building new generation only IPPs allowed. How’s that for legislating a captive market. BC population was told this was the way of the future, green power while having their wallets fleeced. BC was already “green” power! There is a big controversy in the building of Site C by BC Hydro, the moratorium being lifted on Hydro building generation. Now because of the amount of intermittent and non-dispatchable power available to the grid more base power was required so hey let the taxpayer, ratepayers pay for it. So the taxpayer, electrical customer, is on the hook for higher rates to pay for the expensive contracts to IPPs. The subsidies to IPPs, and the additional cost of Site C, when Site C was all that was needed in the first place to meet increasing demand. Double generation doubles the cost. Some argue Site C is not needed but to back that up all they look at is IPP installed capacity, not real world generation. Also for some reason, one cannot see how much different forms of generation are generating in BC, as that is kept a secret for some reason. Maybe so the ratio of installed capacity to actual output cannot be seen by the general public. This information can be seen in electrical utilities all over the world but not BC. Coverup? Also BC Hydro is in debt because governments of all stripes have used it as a cash cow. So between, IPP contracts, IPP subsidies, deteriorating infrastructure from deferring replacement and used as a cash cow if BC Hydro was private and run that way we would have been rubbing sticks long ago. The irony of this whole fiasco is that BC is blessed with one of the most unique opportunities for massive capacity, highly reliable, highly scaleable, 100% firm, INEXPENSIVE impoundment hydroelectric generation in the world. And regardless of what the greenies say, hydroelectric generation is 100% renewable and 100% CO2 emission free. The run of river and other “green energy” projects that were imposed upon BC Hydro were very much the product of cronyism by the previous Liberal provincial government. The real issue with alternative “green energy” such as wind, solar, run of river, etc. is that it all has a place under the right circumstances. A small run of river plant a few km. away from an isolated village is likely a very cost effective solution. Solar panels and wind generators are great for isolated cabins in the wilderness, many km. away from the electrical grid – I.E., the right tool for the right job. But none of this technology is suitable for high capacity grid application without a duplicate, expensive, firm energy producing backup. BC Hydro still produces some of the least expensive, clean, firm hydroelectricity in the world in spite of the high cost of government interference driven by political friends and green lobbyists. And as always, the rate payer will pay. Hopefully others will learn from this travesty. There is a point being missed here. The party in power changed, from Liberal to NDP/Green. The priority for the previous government was energy self-sufficiency, and they used Independent Power Producers to do it, reasoning that “paying a bit more to provide flexibility of supply and energy security represented sound governmental policy and not a mistake”. Those IPPs included run-of-the-river and tidal power. The current government is all-in on climate change. Where (energy) poverty is a virtue. As in all socialist countries, the goods will be cheap, but unavailable. Toto run-of-the-river and tidal are intermittent and non-dispatchable therefore costly and useless with a large environmental footprint of their own. Money has been wasted when Site C is all that was needed. nc, tidal is a pipe dream, even worse than wind. Run-of-the-river is not necessarily intermittent, it’s like hydro with a very small dam. That doesn’t mean it’s a good thing. Environmentalists are generally against it. On a small scale, your own personal micro-hydro, it’s the best of the off-grid alternatives… if you have a suitable stream. Environmentalists are against Site C. It might be the last big hydro project. Renewable projects: trading gold dust for fairy dust. I said run-of-the-river is “like hydro with a very small dam”. I should expand on this. Everyone knows what windmills and solar panels look like. Run-of-the-river is hydro-electric power, just like from a dam. The difference is that it does not provide storage. There is no big lake formed to save water from week to week or season to season. Instead of a big dam, there is a smaller dam or weir which takes part of the water from a stream at the top, pipes it to the turbines at the bottom, then puts it back in the stream. It is not nearly as destructive to the environment as a dam; but enough so that California deems the electricity produced as non-renewable. However, since these streams are in the mountains, there is also the environmental scar of cut lines for the transmission towers. I found a web site which explains and shows one of BC’s biggest ones. Toba Inlet. $663 million, 196 MW, 3 years in construction, 35 year EPA (electricity purchase agreement). On the other side, here is a website against these projects. Friends of Bute Inlet. That map shows the wide impact. In the UK run of river does not involve a dam, only a very small weir with no environmental impact… the power comes from turbine technology and a very narrow pipe. It is small scale and doesn’t involve new power lines… connects to existing grid (which is a bottleneck). Here in BC, the socialist NDP are all enthusiastic about the global warming scam, but they still have some connection to economic reality. They have a minority government so they hold power only with the support of the 3 MLA’s of the Green party. But recent events, including a by-election, have indicate that support is growing for the NDP and plummeting for the Greens. They believe (with good reason) that if an election were held now, they would win handily. In other words, they don’t really need Green support any more, so they’re backing off the wasteful green initiatives in favor of fiscal prudence…for now. They’re still on the global warming bandwagon. I didn’t know … BC beat AOC to the punch! Dec. 2018! Jerry Brown approves! Uh-oh. Global Warming isn’t going to come fast enough to support that! The NDP/Green BC government incompetence is now well established: take the housing affordability issue, they managed at once to raise Property Transfer Taxes so high that people stop moving, to tax BC owner properties even more if their property is over $3 million, to tax other provinces cabins or apartment owners forcing them to sell family properties and to stigmatize wealthy foreigners investing in the province so it has been reported they are expecting a shortfall of $400 million CAD this year alone! Not only they made BC residents poorer, through the collapse of transactions, lower house and flats price, destroy home equity for all owners, discourage new building projects but they ensured the entire province will be poorer too. They could have reduced the unqualified rampant red tape first and foremost to increase the offer of affordable housing… But this is not ideologically pure. Wind and solar power is probably priced low because it is not “firm” power, or power that can always be dispatched on demand. The question is what renewable power costs when it is firm power, backed up by, e.g., natural gas. This province hasn’t been able to deliver on a number of its promises regarding Green energy and carbon pricing. When the latter was introduced about a dozen years ago, the government claimed it would reduce provincial emissions by 33% by 2020. The reality is that the reduction is currently a mere 2.1%. It also promised the carbon tax would begin at $15/tonne and rise no higher than $30; in fact, it’s now 35$ and scheduled to reach $50 in another two years. It was also supposed to be revenue-neutral except it never came close from the outset, and now the new NDP-Green coalition government has quietly removed that feature entirely. So anyone can see the government never intended to or couldn’t keep its promises here from Day 1. As a result , why would anyone believe anything it’s saying now, especially when it comes to Green reliability of wind and solar power? Loads of economic analyses were delivered this week about B.C. Hydro’s plight to support the NDP government’s contention it has to act to avert disaster. But this storyline has played out so often over the years, you have to wonder if there is some deep-seated psychological reason why taxpayers have to keep reliving the same crisis over and over again. Not sure what you call it, but it sure made an impression on me, when I saw such a release close up. Owen you say: “revenues gained by the actual electricity SOLD on the open market. If the electricity is produced at the wrong time, it can not be sold.” Not exactly. The renewable generator has “grid priority” and is paid the “retail price”. The utility company has to take the renewable “power” even if they can’t use it. They can pay an interconnected utility to take it or shut down their non-renewable generation. Quite the partnership corrupt government officials have put together with rent seeking “investors” to milk willfully un-informed voters. If renewable “power” had to be sold “on the open market” there wouldn’t be any wind/solar power”. it’s worth-less-than-nothing junk. Germany and Denmark have proven it…the two biggest “power dumper’s” in the world.